BATAVIA, Ohio (Sept. 2, 2014) — The Adams Clermont Solid Waste District will hold free Tire Amnesty Days in September and October. The first event will be held from 8 a.m.-8 p.m. on Sept. 12-13 in Clermont County at the Washington Township Maintenance Building, 2225 State Route 756, Moscow. Goshen Township will host the second event from 9 a.m.-4 p.m. on Oct. 2-4 at the Adams Waste and Recycling Facility, 95 Trefz Road, West Union. Amnesty Days are being funded through a grant from the Ohio Environmental Protection Agency. 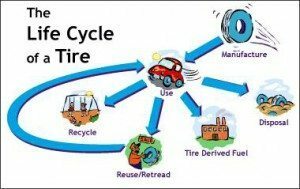 Amnesty Days will not collect tires from junk yards, trucking, or other companies but the district can assist businesses in finding recycling options for proper tire management. Call 513-732-7745 for more details or visit www.oeq.net.